An excerpt from my debut e-book, One Christmas Knight, has been selected as a finalist in the Glimmer Train short-story contest. “Scenes From A Sicilian Restaurant” placed in the top 5 percent of more than 1,000 entries in the October 2011 Family Matters competition. Glimmer Train is one of the most respected short-story journals in the U.S. The entire version of One Christmas Knight is available at amazon.com by clicking on the book cover above. The e-book can be downloaded to your computer, either PC or MAC (see directions top, right), or can be read on Kindle devices and applications for the iPad, iPhone, Blackberry, Droid and Window 7 phones. How good a year has it been for quarterbacks? In a year in which Drew Brees breaks Dan Marino’s mark for yards passing in a season, a record that stood for nearly three decades, Green Bay’s Aaron Rodgers is considered a lock for MVP. And Brees set the new record in one less game than Marino! Is this the Year of the Heat? LeBron James, Dwyane Wade and Co. looked very impressive going into Dallas yesterday and leaving with a 105-94 victory that was nowhere as close as the final score indicated. It was a statement game for Miami, which led by as many as 35 points midway through the third quarter. James led the front-running Heat with a game-high 37 points, 10 rebounds and six assists. 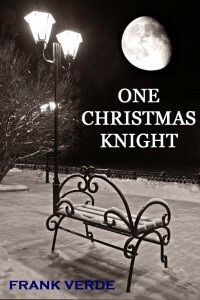 One Christmas Knight is my first e-book, available on amazon.com. It can be downloaded to your computer, either PC or MAC (see directions top, right), or can be read on Kindle devices and applications for the iPad, iPhone, Blackberry, Droid and Window 7 phones. In the months to come I will add new titles, everything from sports (baseball is a specialty), detective mysteries and children’s books from juvenile to young adult. Click on the photo to see its amazon.com page. The Colts (2-13) could have clinched the right to draft Andrew Luck in this year’s NFL draft with a loss against the Texans (10-5) last night, but Indianapolis rallied for a 19-16 victory in the final seconds. Dan Orlovsky found Reggie Wayne on a 1-yard pass in the end zone with 19 seconds remaining to win the game and all but ruin Houston’s chances for a first-round bye in the AFC playoffs. Kobe Bryant has been declared day-to-day with a torn wrist ligament and his status is up in the air for Sunday’s season opener against the Bulls. One orthopaedic surgeon told an ESPN radio station that these injuries usually do not require surgery, but a player could miss three to four weeks of action depending on the degree of the tear. Urban Meyer and his Ohio State football team will sit out the 2012 college football bowl season. The NCAA ordered a one-year bowl ban and additional penalties for Ohio State, including probation through December 2014 and a reduction of football scholarships from 85 to 82 through the 2014-15 academic year. The night the lights went out at Candlestick Park. Twice. Power outages delayed the Monday Night Football game for nearly 35 minutes but could not stop the 49ers from beating the Steelers, 20-3. The victory enabled San Francisco (11-3) to keep its grip on the No. 2 seed in the NFC, ahead of the Saints. Pittsburgh (10-4) lost a chance at grabbing the No. 1 seed in the AFC. That honor now goes to New England. The Chiefs did the Packers (13-1) a favor yesterday, ending further talk about a perfect season before it became a serious distraction. In the end Green Bay will no doubt own home-field advantage throughout the NFC playoffs, but after yesterday’s 19-14 loss at Kansas City, it can concentrate fully on getting healthy the last two weeks of the regular season.